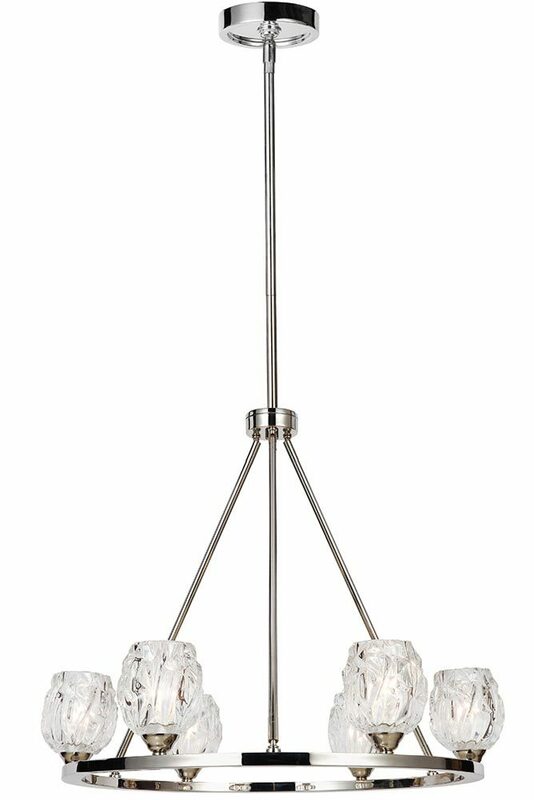 This Feiss Rubin 6 light modern chandelier in polished nickel with glass shades boast contemporary elegance and clean sleek lines. 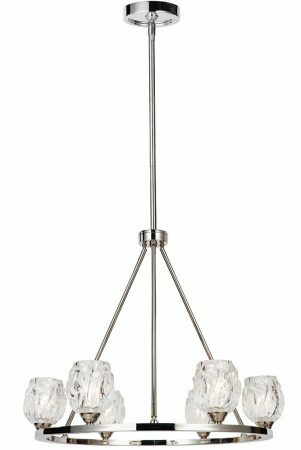 Circular ceiling cup and height adjustable drop rod, with three rods supporting a circular frame in bright nickel. Six heavy upward facing faceted votive glass shades house the lamp bulbs and sparkle when illuminated. Supplied with non-dimmable 3.5w warm white G9 LED capsule lamps that can be replaced with dimmable or brighter lamps if desired. The clear faceted votive glass shades of the Rubin lighting collection serve as the central design element and add a romantic elegance and sparkle to these contemporary fixtures. A clean, sleek look is achieved with round and rectangular chandeliers which will be perfect in a hallway, living or dining room. Or a more playful, fanciful statement can be made by clustering pendants together to create a look thats reminiscent of a floral bouquet. A good sized modern chandelier that is well suited to any bedroom, dining room, living room, hallway or landing in a traditional or contemporary home. Supplied with four 30cm and one 15cm rods that can be used in any combination to achieve the desired drop, please see below for dimensions. This contemporary light is supplied by Elstead Lighting and designed in the USA by Feiss, founded in New York in 1955. 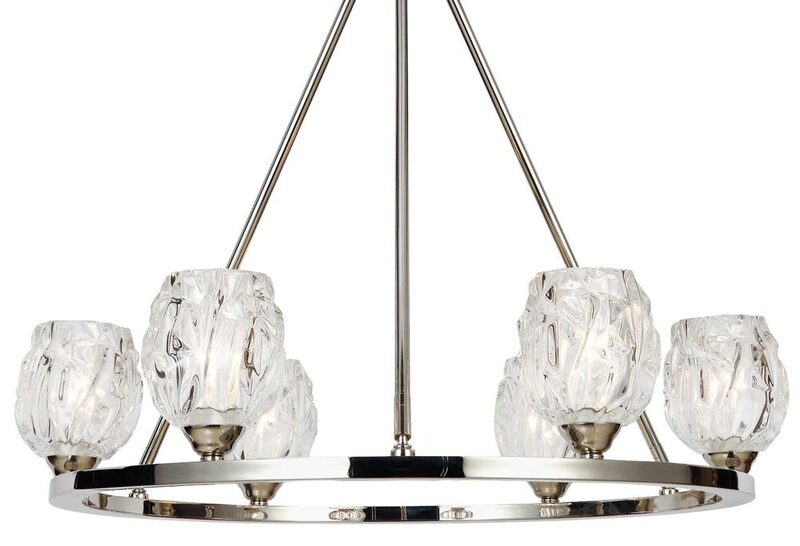 They have become well known over the years for their contemporary yet classic styling, quality and great original designs like the Rubin 6 light modern chandelier in polished nickel with glass shades you see here.